A fish supper takes some battering. Fish in crispy batter, plump chips, with salt ‘n’ sauce if you’re in Edinburgh, salt ‘n’ vinegar in Glasgow. Guzzled outside in the cool of the evening, washed down with a glug of Irn Bru. There’s Bay Fish and Chips in Stonehaven. 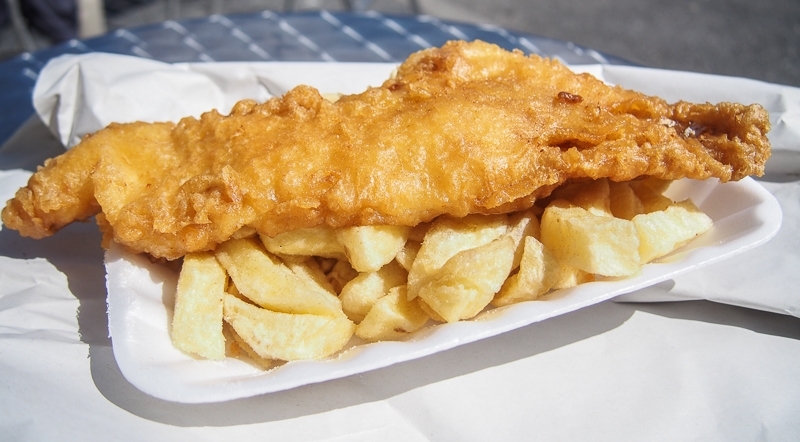 It was UK ‘chippy of the year’ in 2013. 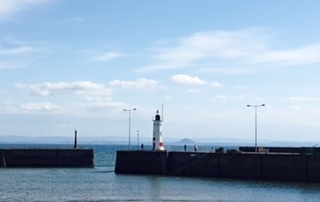 At Anstruther Fish Bar you can polish off your fish supper overlooking the harbour. Watch out for the hungry seagulls though. The most northerly fish and chips in the UK are at Frankie’s in Shetland. Oban Fish and Chip Shop in the town’s George Street is a stone’s throw from postcard scenery of Oban Bay. Hungry? Ashvale Fish Restaurant in Aberdeen serves the Ashvale Whale - 1lb of haddock fillet. Glaswegians smother their suppers from the Merchant Chippie in the High Street with salt ‘n’ vinegar. It’s salt ‘n’ sauce at Edinburgh favourite, L’Alba D’oro in Henderson Row. Walking in The Trossachs is great for working up an appetite. Sort it with a fish supper at Mhor Fish in Callendar. Or head ‘doon that watter’ to the Isle of Bute, and Rothesay’s traditional West End Café. In the mood for a fish supper now. But where’s the best? Portree on the Isle of Skye has some great fish and chips to offer, including: The Lower Deck - Portree Harbour, The Chippy - Portree Harbour, Caledonian Café - Wentworth Street, Royal Hotel - Bank Street & The Grannary - Somerled Square. The 'Plaice to Be' in Pitlochry is also great. The fish is made to order, and they do a mini fish supper for those who don't fancy the belly busting standard size. Arbroath Harbour has a couple of great chippies right on the harbour - Marcos (with the added advantage of having its ice cream shop right next door) or Peppo's which has been a feature of the town for at least 50 years. It can be queued out the door on a Saturday evening. If weather prevents you from enjoying the seats around the harbour, or if you just fancy a "sitty-doon" supper, the Bellrock is right across the road from VS Arbroath IC or the Golden Haddock at the bottom of the High Street is a great wee traditional chippy. Word to the wise though, if you are eating al fresco watch out for our seagulls - they like a fish supper and a cone too! Anstruther in the Kingdom of Fife has a wealth of lovely fish and chip shops with its picturesque setting it is definitely hard to beat for one of the best places to sit outside and enjoy fish and chips in the fresh sea air! Best fish supper I have had is at Batter On on Milngavie Road in Bearsden. Need to add your own sauce though if you hail from the east. it has to be "Frankies" on the Shetland Islands. It was rated the Number 1 fish and chip shop in the UK in 2015 and having sampled the food I can honestly say "ohhh yes"... it was OUTSTANDING. Just a little far to go from Glasgow to make it a regular take away! One of the best I had was Jaffy's (J Lawrie & Sons) in Mallaig. Coming back to the mainland from a week camping on Rum - the fish and chips in the sunshine - perfect! Cameron's chippy in Stornoway. All the others above are mere pretenders to their crown. I have to agree with arjc1971 Frankies Fish & Chips in Brae, Shetland really takes some beating, excellent hand cut chips, perfect batter every time and super tasty fish! A visit to Shetland would be incomplete without going to Frankie's Fish & Chips, I have never tasted fresher or tastier fish and chips anywhere else! Ullapool chippy is awesome. Also agree re Arbroath Harbour. Location wise you can't beat the wee fish and chip van on Tobermory pier. I think it's the Real Food Cafe in Tyndrum. I have an Instagram buddy Martin who raves about the place and their fish and chips. @Margaret I need to stop one day and see if he's right. I'm usually shooting by en route elsewhere. Anstruther Fish Bar has to be my favourite,1st tried their fish and chips after a boat trip to the Isle of May all that sea air really works up an appetite. For golfers the Tailend in the centre of St Andrews is awesome. Nothing beats taking your handful of chips and walking down to watch golfers finish out on the 18th green of the Old Course in late evening summer sunshine. The Bay Fish & Chip shop in Stonehaven, Aberdeenshire offers not only award winning fish and chips but is located right on the coastline, so you get a beautiful view out to sea when your enjoying your supper If you have a bit of a sweet both like me, pop next door to Aunt Betty's for some ice cream. They even have one for dogs! Ice cream for dogs .Do you know how many flavours? 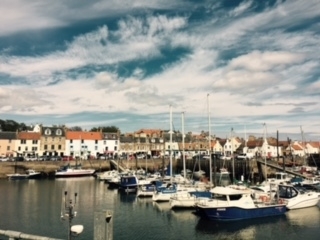 Push the boat out and have a treat - boiled lobster from the Lobster Shack in Crail Harbour - fabulous seafood with wonderful views over one of the most picturesque harbours in the most delightful of villages. Blair Atholl is a handy stop off the A9 and Food in the Park is as pretty a wee chippy as you could hope to find, with picnic tables outdoors and although I didn't have the fish, it was once of the best haggis pudding suppers I've ever had. I was starving after a day in the hills .... "hunger's the best sauce" as my granny used to say! Definitely La Mirage in Helmsdale, Sutherland - the portions are huge and it's always great - you can't miss it if you are in the North! Love being outdoors mountain biking, hill walking and skiing. Oban Fish and Chips (takeaway/restaurant) is something else when it comes so deliciously unhealthy food! I went to Oban on a family holiday a few years ago and this was one of the fond memories I still have of the trip. I think it was our last night and we decided to get a fish and chips (we sat in to eat because it's Scotland so it was raining ) and it was so perfectly cooked we didn't want to finish it. So if you're ever in Oban I suggest you check it out! Growing up in Anstruther meant I was spoilt for having award winning Chippy's on my doorstep. The Fish Bar is so tasty and I'd also say a traditional fish n' chips experience is to be had at Pittenweem Fish Bar! I have to agree with everyone that has already mentioned the Fish Bar in Anstruther - it's amazing! I always sit in rather than take-away because I love the little details like the bread and butter and the mugs of tea that come with it. @Tmo63 Anselmo's is an institution! My dad taught two (I think) of old man Anselmo's daughters and so he was treated to many discounts and conversations in the place. Sadly that didn't pass to me but they are still great up there!